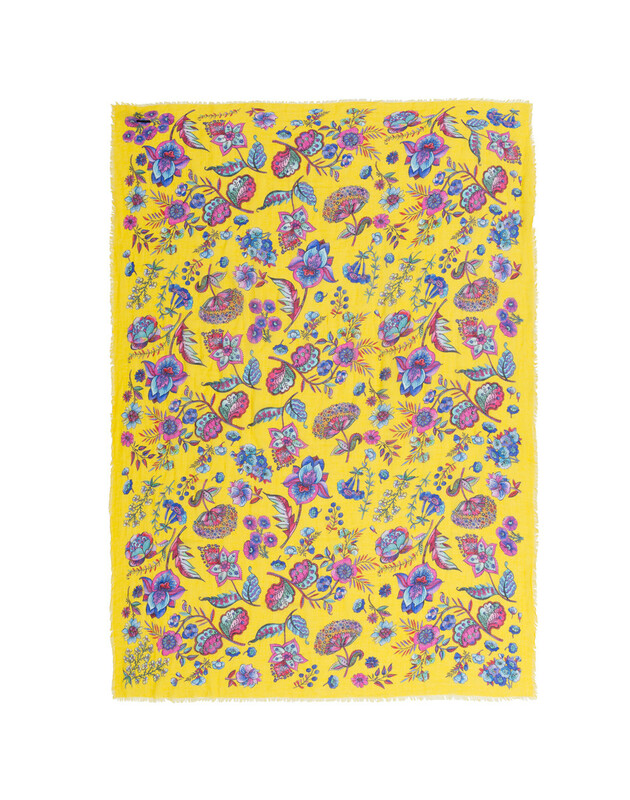 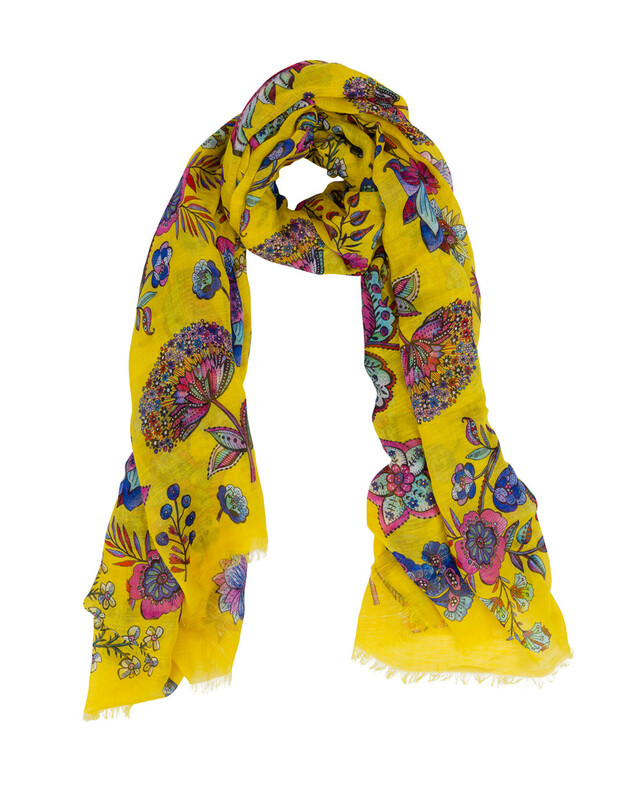 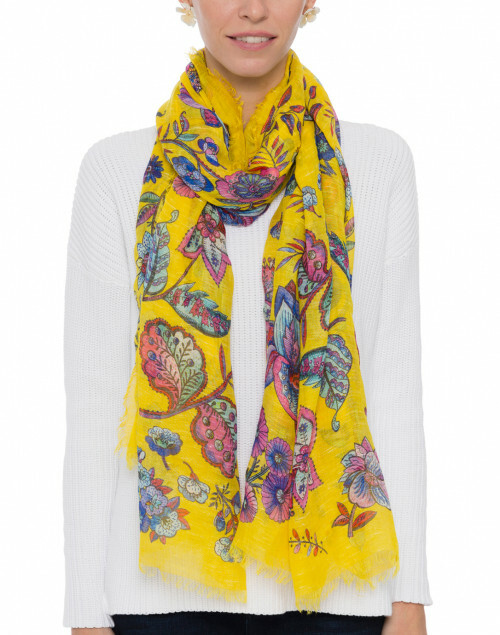 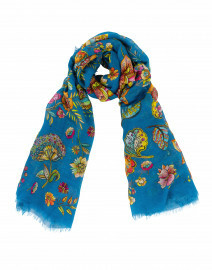 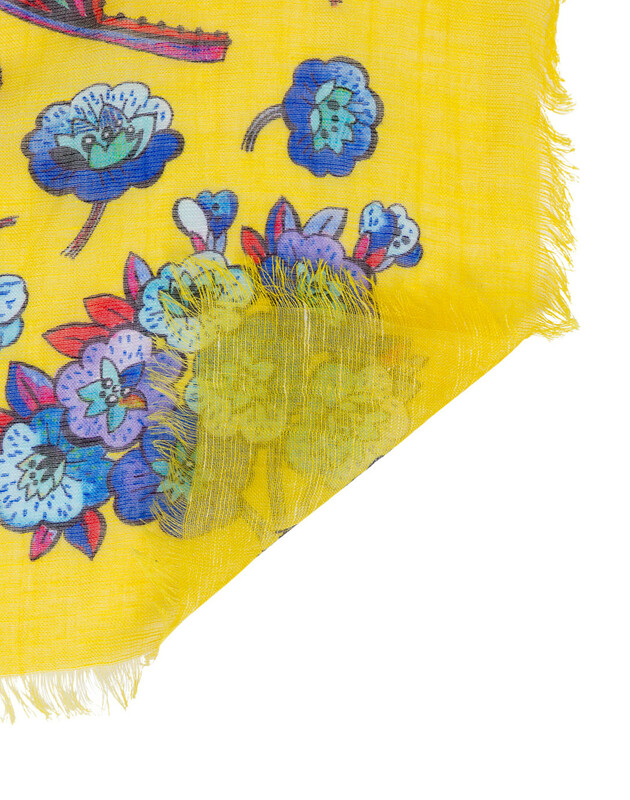 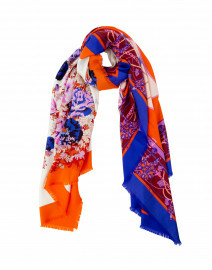 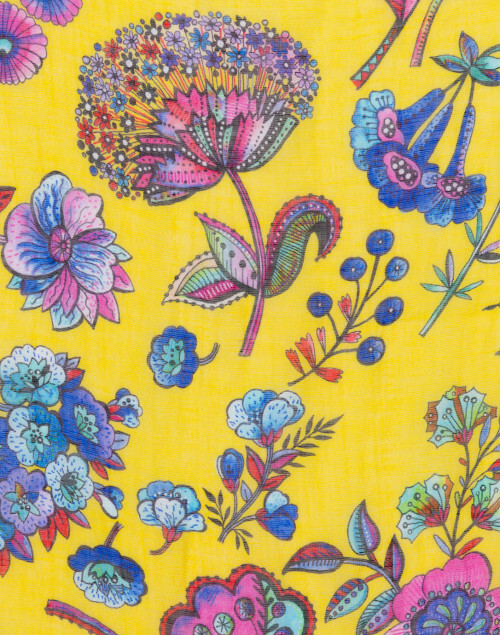 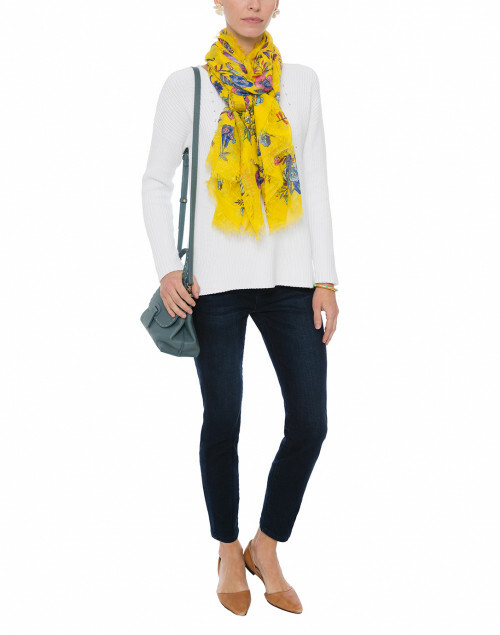 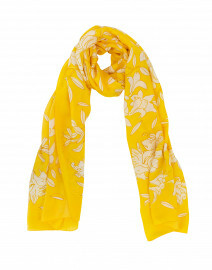 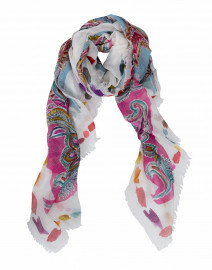 Franco Ferrari's yelow printed scarf features a charming multi floral print. 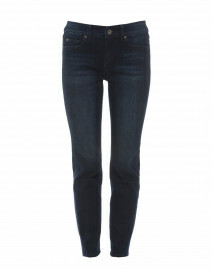 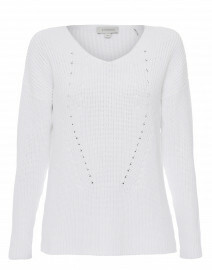 It’s Italian-crafted from soft silk, linen and modal blend and trimmed with a delicate eyelash fringe. 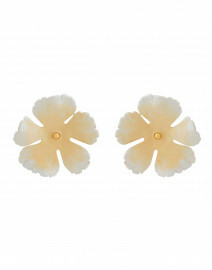 Style it with a white cotton sweater for a vibrant spring look.